FRANKFURT –- BMW Group announced record first-quarter sales of over 400,000 vehicles, about 10 percent more than a year earlier, helped by demand from the United States and China. In the United States, sales were up by 16.6 percent at 75,729 vehicles in the first three months, boosted by the introduction of the new 3 series. In March, group sales rose 13% to 29,806 vehicles, the automaker said. "We have seen over 16% growth in the U.S. this quarter and we expect further momentum with the new BMW 3-series sedan on the market, as well as the introduction of the BMW X1 to the U.S. in September this year," Ian Roberston, BMW's sales chief, said in a statement on Wednesday. In China, the world's largest car market, the company said sales had grown by ''double digit'' figures in the first quarter to over 75,000 vehicles. 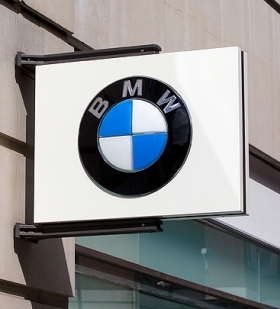 Final figures for BMW Group March sales will be released on April 11, the company said.